Each student in Jennifer Reifinger's English class was charged with researching a subject they were passionate about, then taking a stand one way or another about the subject. They then had to prepare a well-researched, four-minute speech arguing their viewpoint to their classmates. Afterward, there was time for questions from students leading to some very thought-provoking discussions. The lesson, Reifinger said, was two-fold. First, students learned how to thoroughly research topics and where to find valid statistics and information. 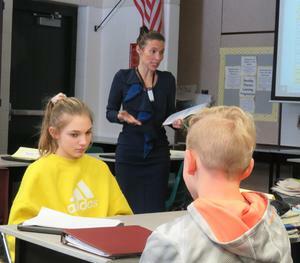 Second, students were exposed to public speaking. 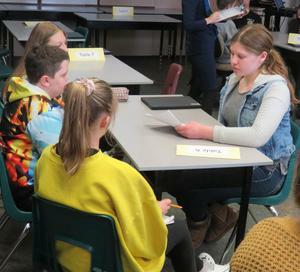 Armed with their notecards and information, presenters sat before a panel of three of four of their fellow classmates, parents and school officials to give their address. "Public speaking is tough for a lot of people not just kids," said Reifinger. "So this gives them a chance to speak before a small group." Each presenter was able to give their speech three times before different groups. All agreed after the first presentation, it got easier. "I liked doing it more after the first time. Then it wasn't so scary," said Hannah Middleton. "I just felt a lot more relaxed after the first time." Another student admitted it wasn't as bad as he thought it was going to be. "I liked that they (my audience) were really paying attention," said Tyler Bentley. "The best way to squelch anxiety is with good preparation," said Reifinger. "I think the more you do it the easier it gets," said Tyler. "The first time was definitely the hardest. Then it just got easier." Reifinger reminded speakers to make eye contact with their audience and interact with their listeners. She also reminded the audience members to be good listeners and make eye contact with the speaker as well. "Pay attention. Be welcoming and supportive with positive body language," she said. Tyler talked about suicide in young people and ways others can help. 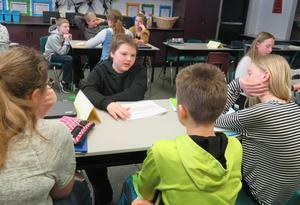 Another student added her discussion about cyberbullying and the dangers it poses. Clayton Sines talked about addictive video games and Marian Gielincki talked about border security. 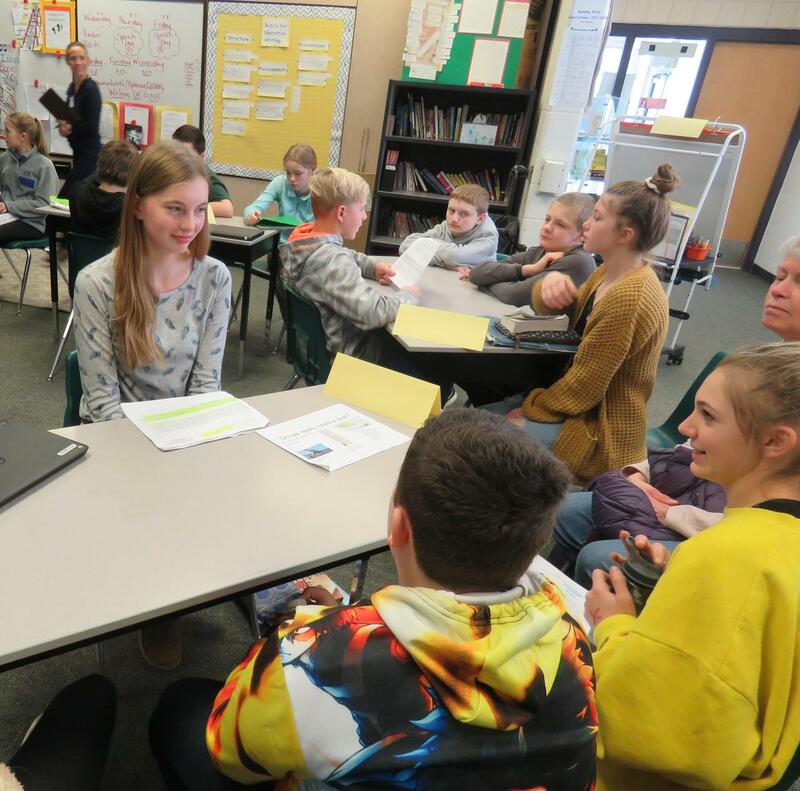 Brianna Sharp led a discussion about kids using cell phones and if they are using their phones too much. There were no right or wrong opinions. Instead, students were evaluated on how well they did their research and preparation and their success in giving their presentation. Overall, Reifinger said the students "nailed it." "They did a lot of research and everyone was very well prepared," she said. 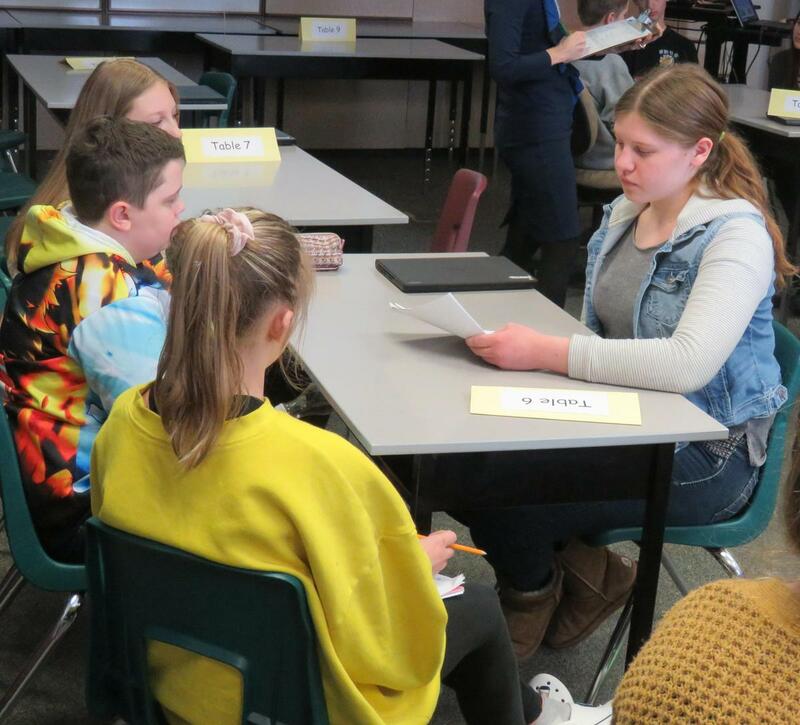 "It went very well and they were able to answer questions at the end of their presentations." Sometimes, she said, the presenter was even able to make people of opposing viewpoints at least understand the other's point of view. "It wasn't about trying to change someone's mind, it was about presenting arguments to support their opinion and help others see there are other sides to everything." 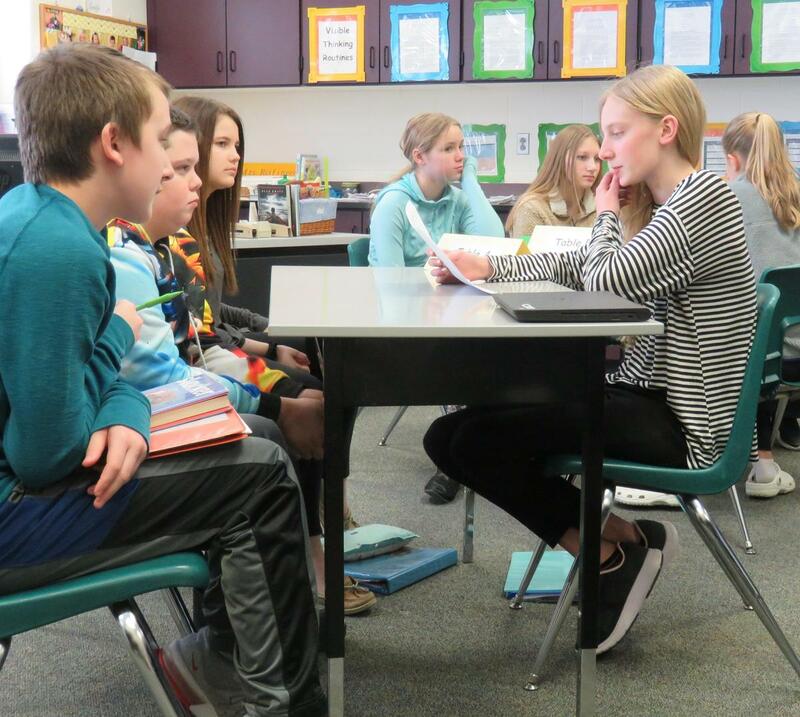 After the public speaking assignment, students will take the same research they've conducted and write a paper arguing and defending their point of view.